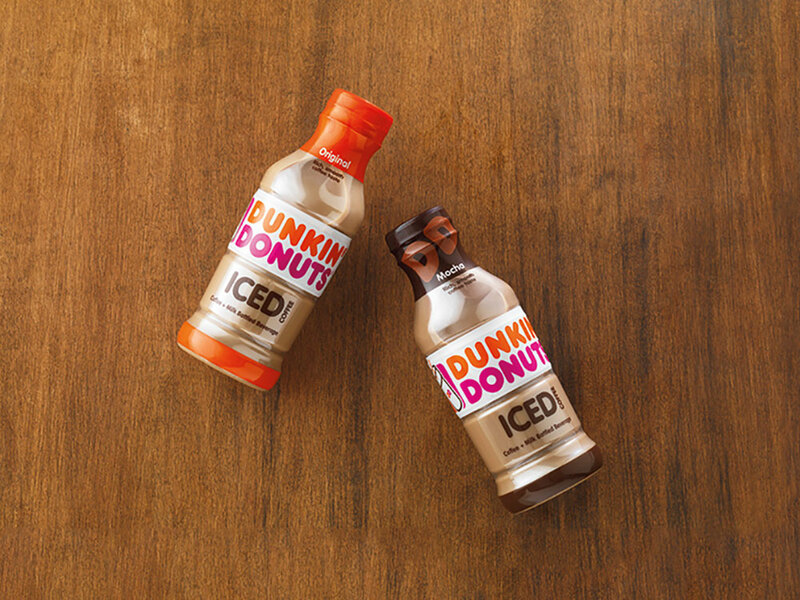 Old rivals Coke and Pepsi are now battling it out in the bottled coffee space thanks to partnerships with Dunkin’ Donuts, McDonald’s and Starbucks. Though the biggest names in grab-and-go coffee—specifically Starbucks, Dunkin’ Donuts and McDonald’s—continue the battle to bring customers into stores, this past year, the fight moved to store shelves as well. All three brands have offered up new ready-to-drink bottled coffee products. Starbucks, which has been in the RTD game the longest, went so far as to bottle its popular Pumpkin Spice Lattes this season. Meanwhile, MickeyD’s announced its RTD McCafe line this past September, joining Dunkin’ Donuts which first entered the RTD coffee world in February. But equally interesting is just who is behind all these new bottled coffees landing in convenience and grocery stores. Both Dunkin’ Donuts and McDonald’s have been working with none other than Coca-Cola, while Starbucks is teamed up with PepsiCo. And though Starbucks/Pepsi have jumped out to an early lead, at least one analysists suggests that by snagging up two major partnerships, Coca-Cola may have an advantage moving forward. Speaking of which, Monster has a stake in the game as well. Though the brand is primarily known for its energy drinks, Herzog suggests that Monster’s RTD coffee offerings might be more “on trend,” though she says she is concerned that “Coke’s bottlers/distributors will give preference to [Coca-Cola’s] products over Monster’s,” which could squeeze a bit of Monster’s potential growth. Regardless, none of these brands have too much to worry about. According to Euromonitor International, the RTD coffee category as a whole has more than doubled from 2011 to 2016 and is expected to be up another 13 percent this year. If anyone was wondering how the big soda companies were planning to make up for declining cola sales, RTD coffee is clearly part of the answer.